While traditional cell culture methods have relied on growing cells as monolayers, three-dimensional (3D) culture systems can provide a convenient in vitro model for the study of complex cell–cell and cell–matrix interactions in the absence of exogenous substrates and may benefit the development of regenerative medicine strategies. 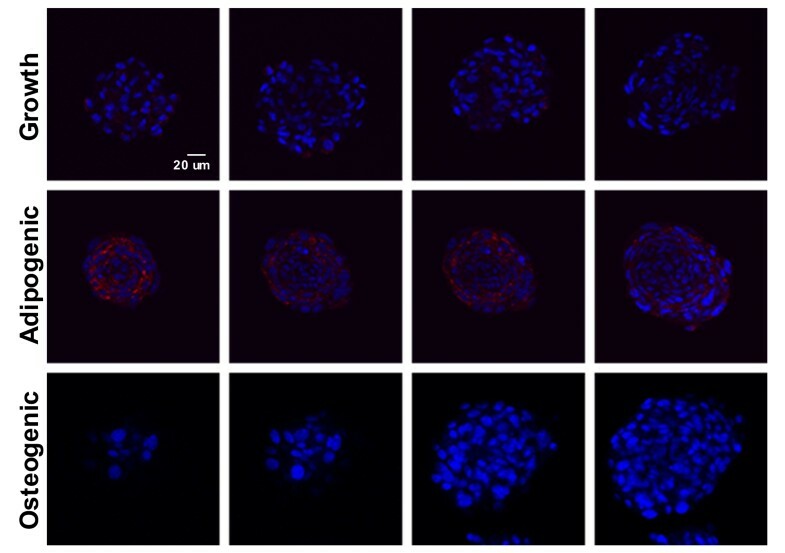 In this study, mesenchymal stem cell (MSC) spheroids, or “mesenspheres”, of different sizes, were formed using a forced aggregation technique and maintained in suspension culture for extended periods of time thereafter. 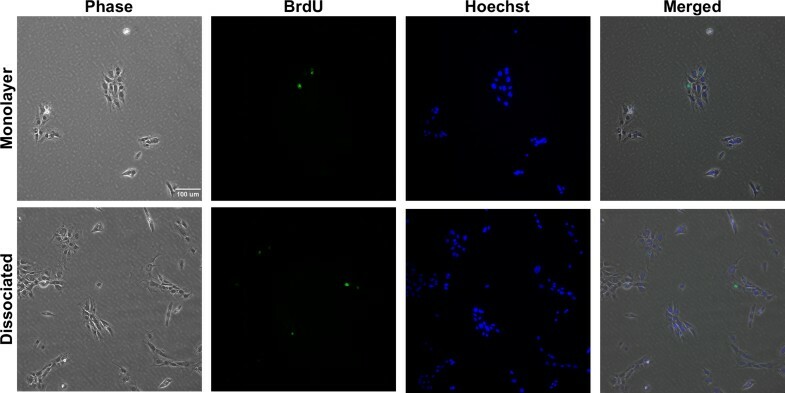 Cell proliferation and differentiation potential within mesenspheres and dissociated cells retrieved from spheroids were compared to conventional adherent monolayer cultures. Mesenspheres maintained in growth medium exhibited no evidence of cell necrosis or differentiation, while mesenspheres in differentiation media exhibited differentiation similar to conventional 2D culture methods based on histological markers of osteogenic and adipogenic commitment. Furthermore, when plated onto tissue culture plates, cells that had been cultured within mesenspheres in growth medium recovered morphology typical of cells cultured continuously in adherent monolayers and retained their capacity for multi-lineage differentiation potential. In fact, more robust matrix mineralization and lipid vacuole content were evident in recovered MSCs when compared to monolayers, suggesting enhanced differentiation by cells cultured as 3D spheroids. Thus, this study demonstrates the development of a 3D culture system for mesenchymal stem cells that may circumvent limitations associated with conventional monolayer cultures and enhance the differentiation potential of multipotent cells. The online version of this article (doi: 10.1007/s00441-011-1215-5) contains supplementary material, which is available to authorized users. 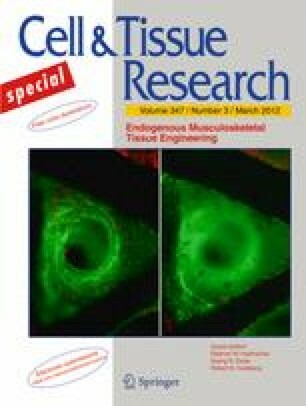 The authors thank Ms. Martha Lesniewski for help with cell culture and spheroid size analyses, Ms. Sha’Aqua Asberry for assistance with histology sample preparation and Ms. Melissa Kinney for help with image processing. Dr. Baraniak is supported by a Postdoctoral Fellowship from the American Heart Association and this work was supported in part by PHS Grant UL1 RR025008 from the Clinical and Translational Science Award program, National Institutes of Health, National Center for Research Resources.